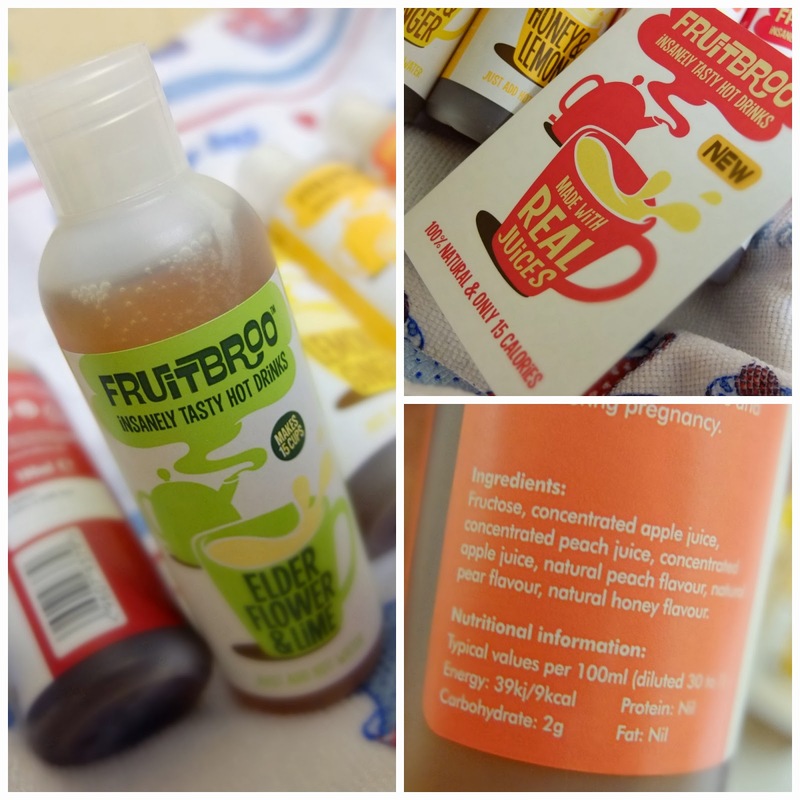 Fruitbroo – The Full Range! It’s kind of like fruit tea…. But not fruit tea! 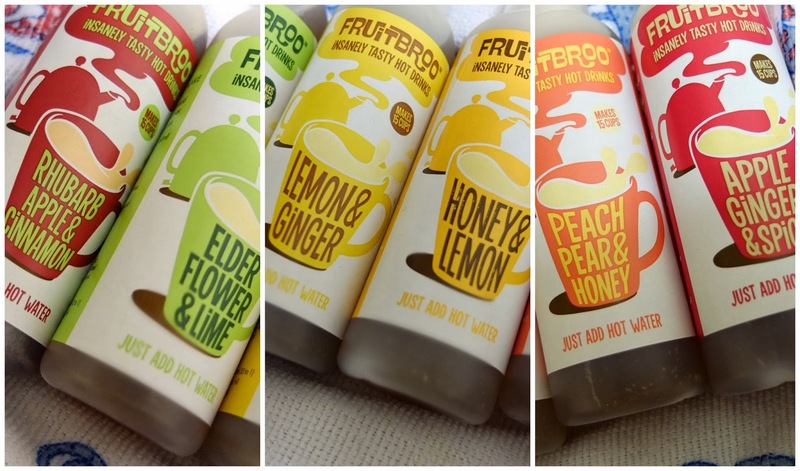 So, Fruitbroo comes in 6 lovely flavours. Each bottle contains 15 servings of each drink and you can nab them for around £1.70 from somewhere like Sainsbury’s (which is where I first spotted them!). As I said, my local Sainsbury’s only had the Apple, Ginger and Spice flavour and the Honey and Lemon one. When I noticed they did a whole range of amazing sounding taste sensations I was so excited. I mean… Rhubarb?! I’ve never noticed a rhubarb hot drink! These are a great change to a cordial to quench your thirst now the cold nights are here, and I’m sure there’s a flavour to suit most tastes. They’re also a nice little treat to take the edge off of any sweet cravings you may be having if you’re on some kind of ‘diet’ or fancy a change from chocolate. Some are sweeter than others and some have a more full flavour. They’re very much the same strength as regular fruit teabags, which is very mild. The great thing about these though is that you can adjust the strength really easily to your tastes by adding as much or as little as you like. Rhubarb, Apple and Cinnamon is a nice warming one, ideal for winter. I do find this is one that I do like to pop a bit extra in to strengthen the flavour, usually a teaspoon and a half is enough. I was expecting the Rhubarb to be a little more tangy but the cinnamon comes through the strongest on this one. Elderflower and Lime is a refreshing flavour, with the lime being a not so tangy but authentic lime flavour, you know like the lime flavour fruit gums? A bit like that, with a nice hint of floral flavours coming through. Lemon and Ginger is another lovely ‘warming’ one for a chilly night, as I mentioned in the previous post, the lemon in this one and the Honey and Lemon flavour are a slightly different lemon taste than you would expect, they’re really fruity lemons not zingy ones. Both the honey and the ginger varieties have a nice balance to warm your cockles or soothe a fluey throat. My favourite one so far is definitely the Peach, Pear and Honey which is probably the strongest and most fruity flavour of the lot! It’s really nice, but it’s quite hard to describe in written form. And of course, the Apple, Ginger and Spice – the one which started the Fruitbroo love affair. I have found that popping in a regular tea bag in to the cup for a short splash works wonders for enhancing these flavours too and I kind of wish it was summer again so I could make some super tasty iced teas with them too!! 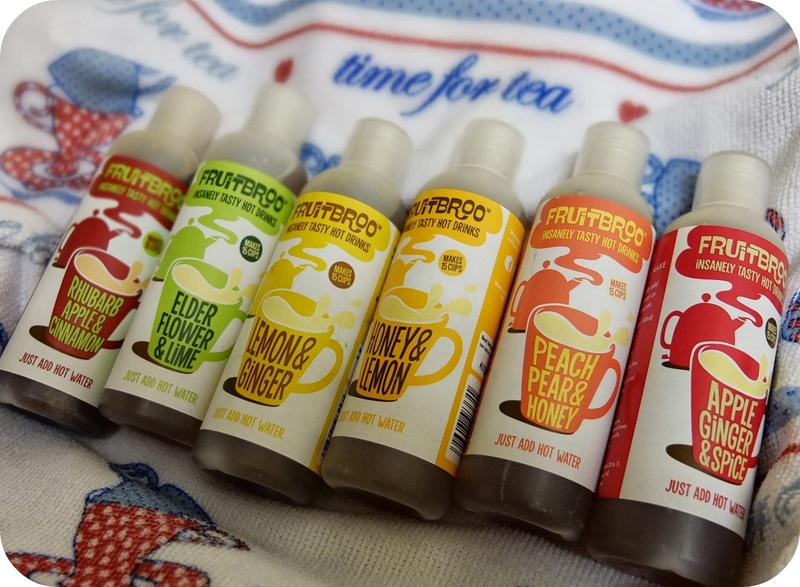 As I mentioned, the flavours of these Fruitbroo drinks are a very mild, like a proper ‘fruit tea bag’ kind of mild. They might not be what some people expect or like (as I was expecting them to be really strong in taste) but as I said you can adapt the strength to suit, so maybe if the mildness of fruit tea bags is what you find off putting these may be a great one to try! I’m definitely a fan that’s for sure. The range also has a great narrative and I do love a nice bit of branding, check out their website here. Are you in to your teas?